Here are a few items to help ease the way to a good night's sleep. Poketo's Bedside Carafe has a stopper that doubles as a small tumbler; $38. 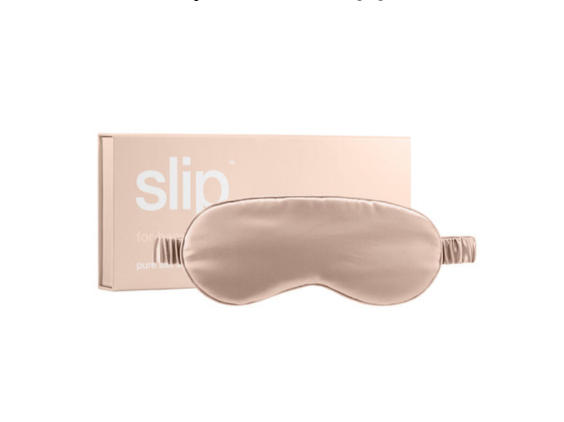 Slip Silk Eye Mask; $45. The linen and cotton Maeve Tissue Cover by Waterworks masks an unsightly tissue box; $28. Muji's simple Beech Clock has an alarm function; $42. Inhaling a couple drops of lavender essential oil rubbed in the palms helps to soothe body and mind after a long day; $15. The Spoonk acuppressure mat isn't a conventional bedside accessory, but it has become a regular, and very relaxing, part of my bedtime routine; $50.